DePetro.com: Will Chafee run for Governor? 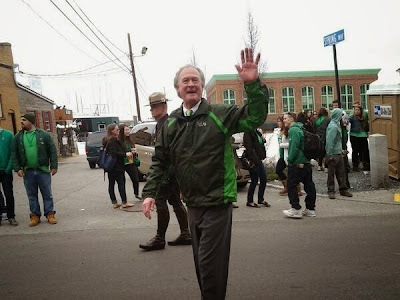 Will Chafee run for Governor? Speculation continues to swirl if former Governor Linc Chafee will challenge Governor Gina Raimondo in a Democrat primary in September 2018. Sources close to Chafee say he has not shut the door and is getting some encouragement from within the Democrat party. Chafee has the money and would have no problem setting in motion a campaign team. He has confided to several people he does not want to be embarrassed the way he now acknowledges he was when he ran for President in 2016. One Democrat source claims that Speaker Mattiello is encouraging Chafee to run. Another source claims that if Chafee runs, Lt. Governor McKee might jump into a three way primary against Raimondo and Chafee. Let the fun begin. Raimondo is beyond vulnerable and is going to need every penny of her $4 million campaign chest. 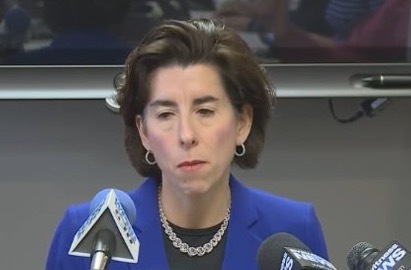 Raimondo won with 40% and seems to be unable to climb any higher. Queena will spend big money on mail ballots, emergency ballots and trying to register every walking illegal to vote. It will all come down to Providence. The clock is ticking on team Gina to get her campaign ready to run on all cylinders. Will Gump run? Listen to the John DePetro Radio show weekdays from 11:AM-2:PM.